Update 1 (2019/4/19): All invoices sent out. I will give until the end of the day Sunday EST for them to be paid. Update 2 (2019/4/21): All invoices have been paid. I have requested the withdrawal of funds from paypal. I will post the next update after ordering the items. My name is Jeff. I live in Korea (but originally from California). 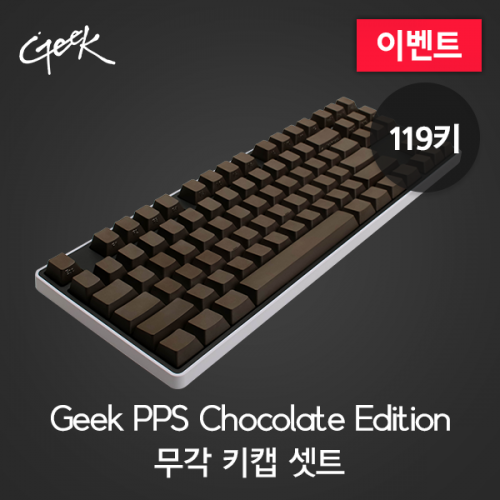 I’d like to offer proxy shipping for Chocolate PPS keycaps. If you’re not familiar with PPS, they have a ceramic feel and have a unique sound signature. They can sound metallic, ceramic, or thocky depending on the build. After watching these videos, I’ve become interested in purchasing them and I’ve learned a handful of other people are as well. So I decided to offer this service. 119 key base kit is $85 and there’s also options for compatibility kits. Two choices for shipping as well. Only the chocolate color is in stock. The manufacturer/seller has declined to specify when or if they will make Black Stone PPS keycaps again. Since it’s my first time running anything like this, I’ve decided to keep it small and limit it to only 20-30 unique orders. Comment if you have any questions! Submitted! I’ve been waiting to pick up a set! same set as this, isnt it? Whoa. I had no idea he had a web page for international buyers. And I had no idea he was charging Korean customers A LOT more, about double. Here is the site for Korea. Including PP 4.5% transaction fee + 2.4% withdrawal fee to a Korean bank account + packaging is where I came up with my price. I guess this proxy isn’t needed then! Edited original post. hold your horses, i asked if they were the same, not for you to close the proxy post. i cant get this site to check out (glitch at Select Country in shipping), so your proxy might absolutely still be needed. id recommend doing some more due dillegence to make there are not other sources with considerably cheaper prices before proceeding though, as even with your stated math that is still a hefty profit margin and i found that link in about 2 minutes. I tried ordering this from US last year but couldn’t so asked my wife, who was visiting South Korea at the time, to get it for me. Price was $80 something. I think $30 something was a special ‘pre-opening’ sale of some sort that is no longer available. UPDATE: BTW, PPS set is a worthy addition to a keyset collection if you enjoy variations in key feel. I have this and POM set from KBDfans. Both sounds similar, thocky, but one feels like ceramic and the other feels like buttered pebble. thats weird, they should take the link down then. Sorry. I was so surprised that my first instinct was to remove the link to my form. I don’t know how that link never popped up for me. Perhaps it is because my search results are based off my location? Full disclosure: Ranto is the manufacturer and seller of the PPS keycaps. I will be purchasing from the owner who I contacted. He told me that the keycaps are already heavily discounted and there would be no further discounts for larger orders, referencing a 50 unit order to Singapore that he declined to discount. I also ran a IC form in a few discord channels before which originally quoted lower prices. But with the advice of a few GB runners, this is now my finalized form and prices. Signed up for a set. Always down to try something new. Same here. I’ve been wanting to try PPS caps for awhile now so I filled the form out before I even scrolled through the thread, LOL! I’ve also submitted the form When I watched NK’s Holy Panda video with those keycaps, the sound was absolutely amazing. I know the HPs are a great switch, but I believe a part of that unique sound was the PPS caps. Wait, which one feels like buttered pebble?? Cherry profile POM keyset KBDfans used to stock. They also carry POM keycaps for Topre that feels like crap so it depends on how it’s made and textured. NovelPro keycaps may be made using POM so I’m looking forward to it. It’s listed in the google form but I will repeat it here. This is a conservative timeline, so if things go smoothly, I should be able to ship it much quicker. I will be closing the form on Thursday night Korean time. About 11am EST Thursday. The ISO support seems a bit strange. It seems to be lacking a left 1.25u Shift key (and a 1u, but that I can always steal from the numpad). Any way to add a 1.25u and a 1u “row Z” key? Thanks, I haven’t read the form since I filled it out and just forgot to check it again I can’t wait!